"The day after an epic, late finish is never easy. 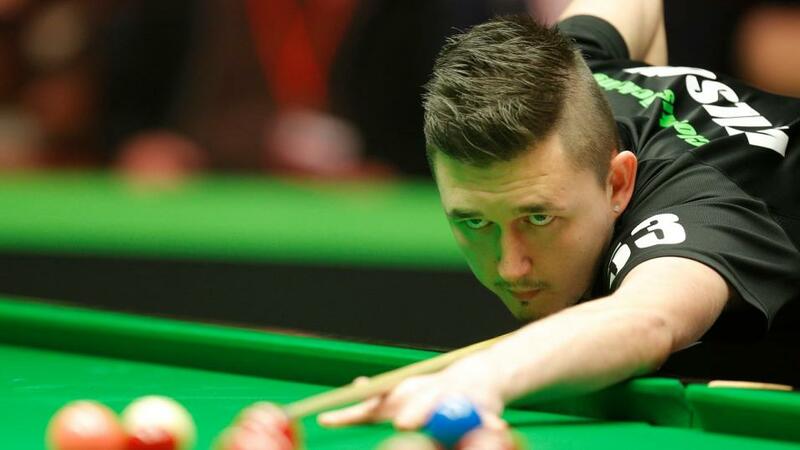 It won't be any surprise if Higgins is slow out of the blocks this afternoon...In contrast his much younger opponent played just three frames yesterday, completing a third straight one-sided victory." After producing a magnificent comeback to break Judd Trump's heart and win the best match so far of this year's World Championship, John Higgins is a firm favourite at just [2.42] to go on and equal Ronnie O'Sullivan's tally of five world titles. Last night confirmed what we already know - the Wizard of Wishaw is granite - but is he a value bet? Will age be a factor over this marathon weekend? No player aged 40 or above has won this title since Ray Reardon in the 1970s, or even reached the final since Terry Griffiths in 1988. The two favourites to win this year's semi finals are aged 42 and 43. Personally I'm not convinced these stats are all that meaningful. Snooker is always dominated by a handful of players and during the modern era those legends happened to be aged under 40. Nowadays older players are commonplace in the latter stages. There's no visible deterioration yet from the holy trinity of O'Sullivan, Higgins and Williams. In 2015, Stuart Bingham won this on the eve of his 39th birthday. On the other hand, punters could be forgiven exploring what is a rare angle in such a wide-open semi-final line-up. I can genuinely never recall having less of a firm view at this stage and that can only lead to one conclusion - avoid the favourite! Higgins may have bags of experience in such situations but the day after an epic, late finish is never easy. It won't be any surprise if he is slow out of the blocks this afternoon, as in the last round. In contrast his much younger opponent played just three frames yesterday, completing a third straight one-sided victory. 'Warrior' Wilson is fit and raring to go. For me, Wilson's odds for both match and tournament are wrong. As argued when backing him at [16.0] for the title before the last match, his temperament is absolutely perfect for this marathon. After three years of tipping him as a future world champion, I'm not abandoning him as his first chance arrives. That isn't to underestimate the task in hand. Higgins dominated him 13-6 in last year's quarter-final and as last night demonstrated, he's perhaps the best ever in a close finish. Nevertheless Kyren has improved significantly over the last year, reaching three finals, and not flinched when faced with the biggest names. When Selby dominated the recent China Open, he only beat this opponent 10-8. I think this match has the hallmarks of a classic, swinging back and forth over the four sessions - perfect for trading. The advice is to back Wilson at [3.05], then place a lay order for double the initial risk at [1.5]. Regarding the in-play outright book, we've risked nine units in the top quarter, to return 80 if Wilson wins. For now, let's just try and retrieve those nine units by placing a lay order at [5.0]. If matched, it would leave a 'risk free' position on Wilson to win 35 units. We're also on Mark Williams at [9.4] but, rather than set any lay targets in this semi, the plan is to back Barry Hawkins to return roughly the same. This way, our position going into the final will be 15 units to return 47 about whoever wins this match - easy to cover. In truth, I find this pair impossible to separate. Williams has been magnificent all season and might even give Higgins a run for his money in the 'bottle' stakes. But Hawkins has been arguably the better player in this event, and at the previous one, scoring relentlessly. I would price this as basically a 50/50 contest so that would make Hawkins the value at [2.2]. Rather than make a pick, though, [1.9] about Over 29.5 Frames is the selection.